Vera's got big plans. As it turns out, Nick does, too. Vera is a twenty-something looking to put her life back together after a devastating accident. Her first step, she’s decided, is to run a marathon. There’s just one problem: she hasn’t run 100 yards in almost two years. Nick is a life-long runner intent on finishing the Boston Marathon. He can’t resist a person in need, so when he sees Vera struggling during her training, he feels compelled to stop and offer his assistance. As Nick and Vera continue to cross paths, they realize that running isn’t the only thing they have in common. 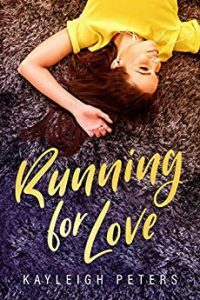 Filled with snippets of running culture, Running for Love is a powerful story of affection, redemption, and recovery in the wake of terrible tragedy.